8 Ways Ballarat Is The New Melbourne… Yes, Seriously. Ballarat is putting itself firmly on the road trip map, thanks to a new generation of wine makers, beer lovers, superstar chefs and art fans that are beefing up the city’s offering beyond old gold country. The historic city is home to the touring Archibald Prize—Australia’s most famous painting award which celebrates portraits of famous faces—which will set up shop in the Art Gallery of Ballarat from Friday 14 October until Sunday 27 November. 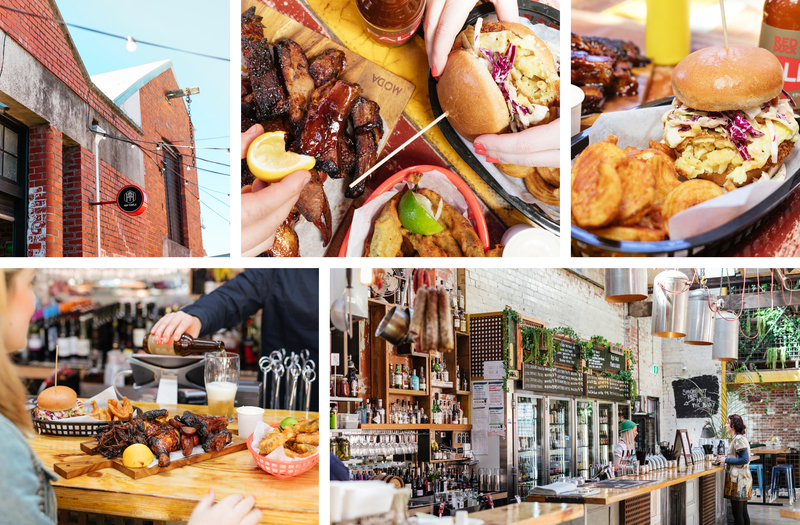 Which means it’s the perfect time to head west on a foodie adventure. I know what you’re thinking. Ballarat?! Seriously?! As someone who isn’t from around here (actually, that’s the understatement of the century—I grew up 17,126 km from Melbourne), I headed to Ballarat with absolutely no preconceived notions of what I would find. From chef’s hatted Thai food to dreamy shopping finds, here are 8 ways that Ballarat is beating Melbourne at its own game. 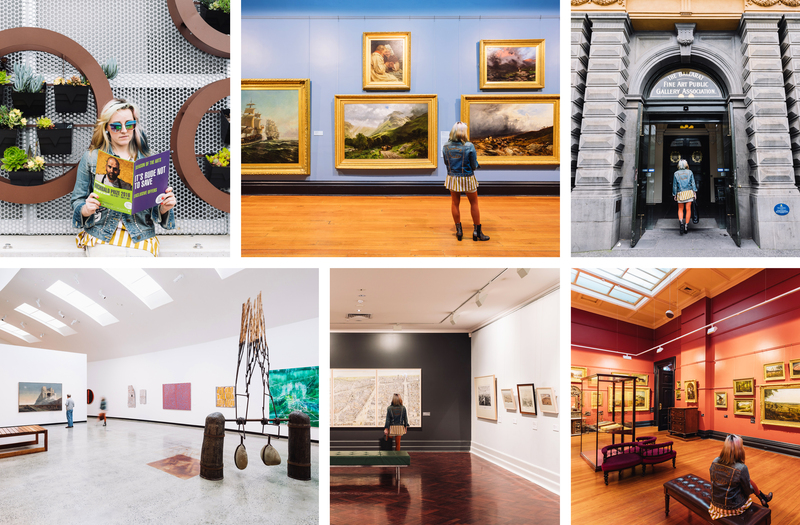 While you might think that Melbourne’s galleries have the upper hand, Ballarat’s major galleries and smaller art finds are home to some show-stopping collections that mix the old with the new. Opened in 1890, the Art Gallery of Ballarat hosts touring exhibitions, such as the up-coming Archibald prize which will span five rooms of the prestigious gallery, as well as a substantial collection of historical and modern Australian artwork. The beautiful building is also going to be home to Graham—that insane TAC sculpture that highlights just how weird our bodies would be if we were built to survive car crashes—from 1 November, meaning there will be a double whammy of touring shows for the entirety of the month. If you needed an excuse to take a road trip (as if), this is it. Neighbouring gallery The Lost Ones is all about new art that pushes buttons. Situated in an old Masonic lodge that’s been renovated as a gallery and workshop space, with a basement wine bar due to open in 2017, you’ll see everything from delicate ceramics to floor-to-ceiling drawings here. As for the workshops, they span gin to taxidermy (hopefully not at the same time…). You’re guaranteed to see some eye-popping stuff! Unbeknown to most, Ballarat is home to one of Australia’s most delicious Thai restaurants. 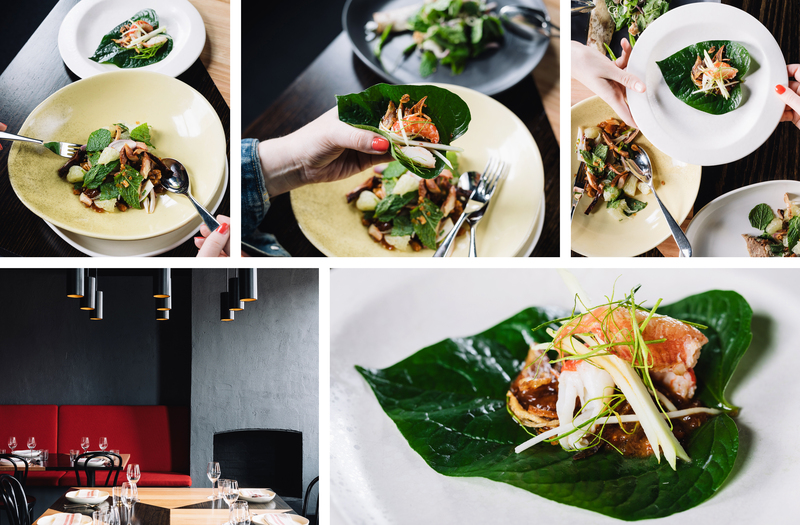 Catfish—situated in Bakery Hill—is a short stroll from the city centre, and serves up chef’s hatted Thai cuisine thanks to Head Chef Damien Jones, who has cooked with Thai flavours in London and Sydney, before setting up shop in the goldfields. With a newly opened upstairs dining space, Catfish is as slick as any CBD restaurant with authentic food to match. Coffin bay oysters, spiced beef rib, house-made rice crackers with curried chicken, and a Chiang Mai-style pork curry topped with crackling crumble and peanut ice-cream… EVERYTHING here is worth it. Lock in a date with the full banquet menu, and don’t scrimp on the tamarind margaritas! 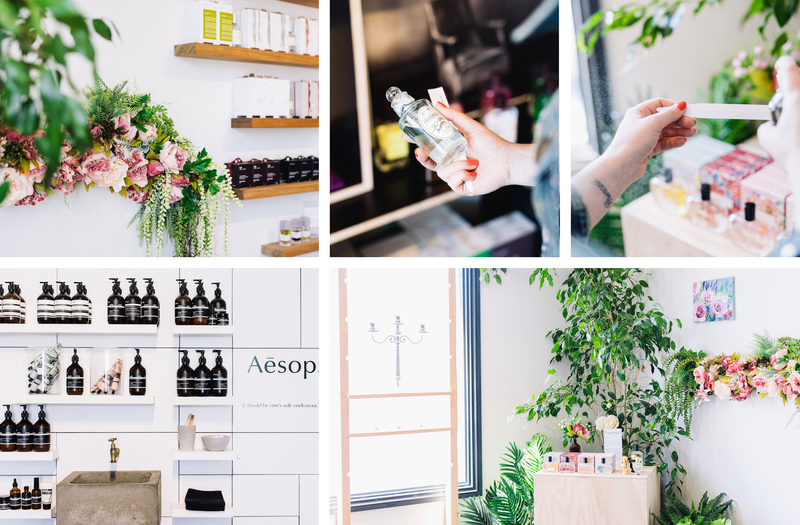 Look, Christmas shopping is a nightmare at the best of times, but if you’re looking to nail that list early this year or to simply treat yourself to a few to-me-from-me’s, then a day shopping in Ballarat’s many great boutiques is highly recommended. Homewares and fashion boutique Such’n’Such is a gem that’s packed to the rafters with candles, ceramics, accessories, kids toys, and fashion pieces that have been handpicked from some of our favourite labels. Looking for the cheeseboard of your dreams and the latest Glasshouse limited edition candle? Such’n’Such has you covered. If you’re looking for something a little different, there’s no better place than Sweet Fern. This luxe fragrance boutique carries an exquisite range of local and global fragrances, skincare products and more. Better yet, their staff have the knowledge to help you find the perfect scent and are the friendliest beauty buffs we’ve had the pleasure of meeting. Grab your bankcard and get splashing, people! From traditional cafes complete with chequered table cloths, to hip breakfast spots that serve boutique roaster coffee, Ballarat’s café scene is well and truly alive and kicking. My first stop was Kittelty’s Café, right next to the Art Gallery of Ballarat, for some homely fare. Think stuffed, locally farmed mushrooms, savoury muffins the size of your head, 4 Seasons cold pressed juice that’s made just down the road and epic sweet treats. Run by Sara Kittelty, it’s certainly one for cozying up in with a good book, or dropping in to refuel before checking out some art. As for breakfast, Webster’s Market & Café is part open-air café, part-take-away coffee hub, and all about deliciousness. The kitchen here uses local ingredients wherever they can to create brunch fare that will have you drooling for days. 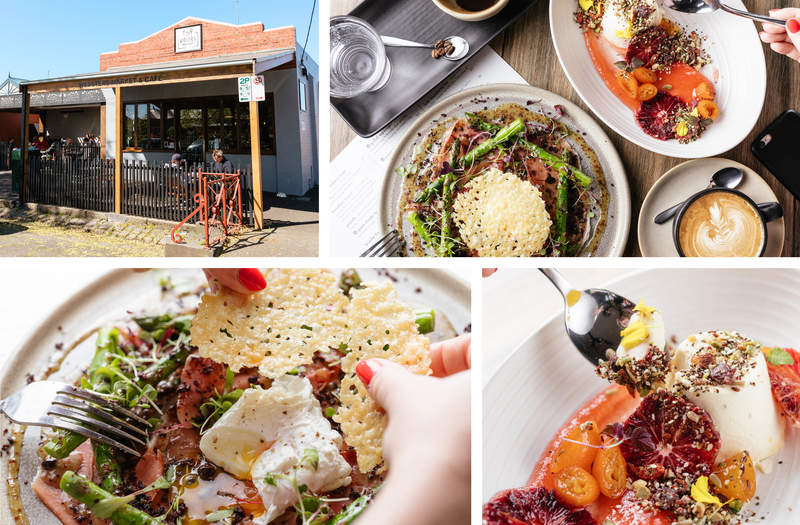 The seasonal fruit and yoghurt combo was the Instagram moment of my trip, and the grilled asparagus with prosciutto, olive crumb, poached eggs and a mustard seed dressing put a new spin on an old fave. Plus, it’s Industry Beans coffee in their grinder….ten out of ten, team Webster! Seriously. EVERYONE. The Forge Pizzeria has two locations in Ballarat and is widely known as the best pizzeria on this side of the state. They are serving a cracking deal that includes a glass of shiraz and their pumpkin, goat’s cheese and pine nut pizza for a mere $25 throughout the entire arts season—making them our pick of the bunch for a lazy lunch. For you meat-lovers, the Salt Kitchen bacon pizza is a mouth-watering option, with fresh pastas and risottos on the cards too. Beer and soul food lovers, listen up: Hop Temple, situated along an umbrella-covered laneway off Armstrong Street, welcomes both beer nerds and novices to its awesome venue. Hop Temple has one of the best low-key menus in Ballarat that caters to vegetarians and gluten-free foodies, as well as you carnivores. With over 100 beers available by the bottle and on tap, as well as seating for you and your entire crew, the old saddle-makers’ warehouse is now a top-notch venue for getting your fill of good times and good beer. Their ribs, pulled pork, jalapeno poppers and mac’n’cheese burger are all absolutely smashing it out of the ballpark. Did someone say Sunday session? Call me fickle, but a garden full of blooming flowers, a suite with my very own velveteen couch, and views for miles are my idea of heaven. Yours too? You’ll definitely want to stay in the majestic Ballarat Premier Apartments’ luxe self-catered apartments that are a walk away from the best hot-spots in town. And when nature’s beauty is on your list, make for the Ballarat Botanical Gardens and Lake Wendouree—the ideal spot for a picnic where you can munch on that left-over pizza/cheese/wine. Pure holiday bliss. To enter, submit your details below. *Prize must be redeemed between October 14-November 27 2016. Bookings must be made directly with the venues and are subject to availability. Terms & conditions: Entries close at midnight (AEDST) on Monday 24 October. The winner will be notified by email on Tuesday 25 October. All entrants agree to receive information from The Urban List and Ballarat RTB. Editors note: This article is sponsored by Ballarat RTB and proudly endorsed by The Urban List. Thank you for supporting the sponsors who make The Urban List possible. Click here for more information on our editorial policy.